It all started in September at a round stone table under the shade of a Live Oak tree. 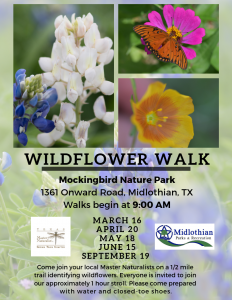 During our first few meetings, our team collaborated and developed a series of classes to teach a group of children some of the amazing things we were learning in our own Texas Master Naturalist class and to pilot a Cedar Hill branch of Junior Master Naturalists. Our first, and potentially most challenging task, was to find a group of children willing and able to participate in a Junior Master Naturalist program and a venue. 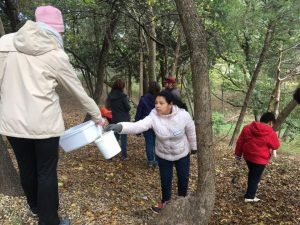 Fortunately for us, Kristen Stock works for Newman International Academy and was not only able to gather a group of fifth and sixth graders, but also had access to Newman International’s beautiful Cedar Hill campus. After a few more brainstorming meetings and a field trip of our own to the campus, we quickly realized our team had several strengths to build on, including a spectacular venue for our classes. Many of our team members took on special projects based on their individual skills, like Kate Whidden who is gathering pictures and video footage to use to document our classes. Under the guidance of Rose Mercer and Tabatha Knickerbocker, we decided on three different classes: Ecology, Aquatics, and Geology. Unfortunately, October storms had other plans for us. After canceling our first class due to rains and flooding, we rescheduled and combined the next two classes. The November class will be covering Aquatics, primarily developed and led by Melissa Walker with the support and guidance of our whole group, followed by a general Ecology hike where the kids will be guided to explore the campus trails and taught how to identify multiple trees, birds, and other wildlife by members of our team. 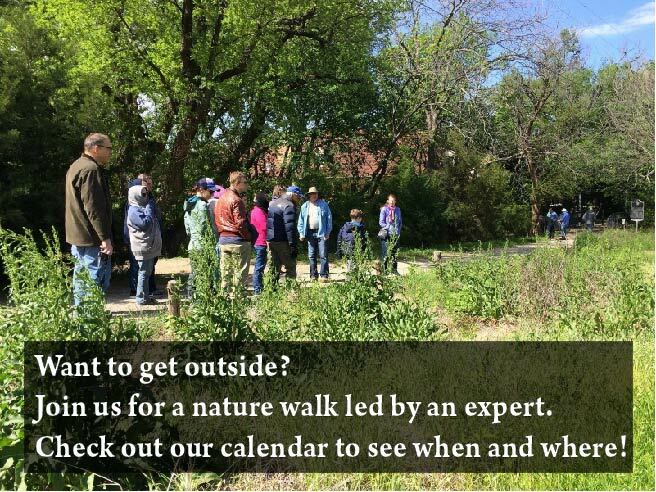 The December class will focus on Geology with another Ecology hike following, during which we will call attention to the seasonal changes in the natural world. Jo Carbone is taking the lead on the planning for this class and has also developed a great field guide sheet with the help of all of our team members (Will Harris, Amanda Flint, Christy Turner, Kate Whidden, and Charles Cathcart). I’ve had the privilege of leading this amazing group of incredibly diverse and talented individuals. I am thrilled with our accomplishments in the planning stages of this project and I look forward to sharing the outcomes of both of our classes when we are finished. When I arrived on the campus of Newman Academy (next door to Dogwood Canyon Audubon Center) Saturday, November 10, 2018 (after above was written) it was cold. I found youngsters and our strong junior naturalist expansion team climbing out of a creek with magnifying glasses, nets and study trays or buckets. One of the gals exclaimed of her creekside discovery (and Charles had to clarify what I heard): “this is super bucket worthy!” For hours on a misty Saturday morning youngsters were engaged in ecosystem discovery and maybe a little foraging… led by Will Harris, not me, except for the oxalis which is Bob Richie approved!